What Will Happen to my Wisconsin CDL? If you are charged with drunk driving and have a Wisconsin CDL you need to act quickly to protect your rights. A Wisconsin DUI conviction will have a dramatic impact on your WI Commercial Drivers License, your job, your family, and your future. Even though most first time drunk driving offenders are allowed to get an Occupational License to use for work related driving, there is no longer an Occupational CDL. Wisconsin Drunk Driving Laws will have tough consequences on your CDL. First Time Offense: CDL Revocation for one (1) year, even if you were arrested in your personal vehicle. Second Offense: CDL Disqualification for life. Remember, your CDL is an extension or endorsement of your regular driver’s license. If you have a conviction for an offense requiring suspension or revocation of your Class D Driver’s License, that means that your CDL will be revoked or suspended as well. This is true even if you were not driving your commercial vehicle at the time of violation. Remember to Act Quickly! You only have TEN DAYS to challenge an Administrative Suspension. The DUI Attorneys at Vanden Heuvel & Dineen have the experience you need on your side to protect your license and your job. 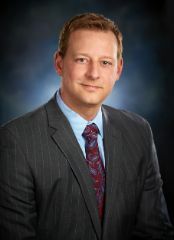 Contact Attorney Nathan J. Dineen of Vanden Heuvel & Dineen, S.C.